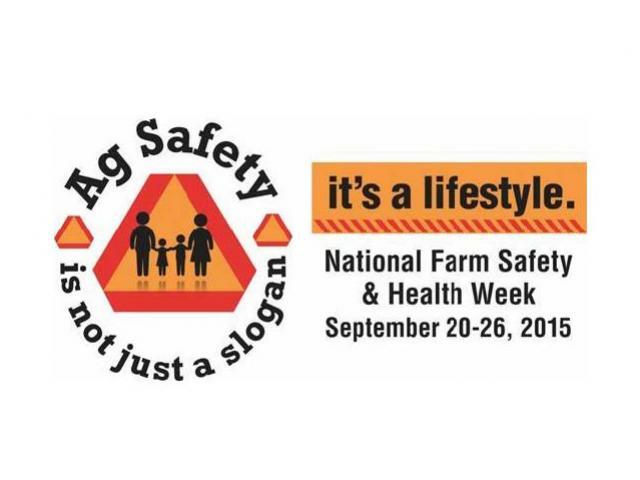 This is the theme for the 2015 National Farm Safety and Health Week, observed September 20-26. The theme reminds local and rural communities that agriculture is one of the most dangerous industries in the U.S. This industry, which includes farming, forestry and fishing, accounts for 500 fatalities each year (U.S. Department of Labor, 2013). Since 1944, the third week of September has been recognized as National Farm Safety & Health Week. This recognition has been an annual promotion initiated by the National Safety Council and has been proclaimed as such by each sitting U.S. President since Franklin D. Roosevelt signed the first document. Over the years, the development and dissemination of National Farm Safety & Health Week materials shifted from the National Safety Council to National Education Center for Ag Safety (NECAS). NECAS is the agricultural partner for the National Safety Council and has been serving the agricultural family and business community since 1997. As the theme suggests, practicing safety is something we should do, not something we merely say. While it is great to profess our attitude for safety, it is much more admirable to practice it everyday in our daily actions. The OSU Ag Safety & Health Office invites county Extension offices, Farm Bureaus, FFA chapters, ag businesses, on-farm agricultural tourism operations, and other farm or interested individuals to like us on Facebook. Our social media site will post daily safety and health messages each day of Farm Safety Week that can be shared on other’s home pages.